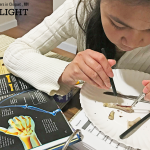 I read this article and wanted to share it with you: Back to Homeschool Traditions Forge Family Identity https://blog.sonlight.com/back-to-homeschool-traditions.html. A delicious breakfast to get you off to a strong start on your first day is even better if you can make it the night before (think homemade cinnamon rolls or breakfast casserole). That way you can have a treat but not spend a lot of time in the kitchen the first morning. 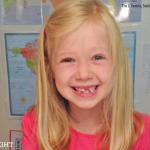 Your kids may want to have first day of school every day. Some families like to dive into every subject at once. 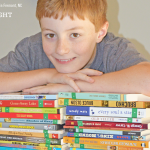 Others make it a tradition to begin with just a few subjects or a special Read-Aloud and work their way into all the subjects gradually over the course of a few weeks. And some, like my friend Becky, would do all the history books on one day, and all of their science pages on another day. I didn't take nearly the amount of photos of my kids growing up as moms do today with digital technology, but I count the photos we took every year at Easter a real treasure. Children love to go back and look at these to see how they have changed. Taking photos on the first day of school with a little sign is a great way to make sure you have a photo of your students each year—and know how old they were in it. You can download a free printable sign on our website. 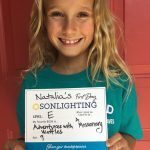 If you do share it on social media, please tag #sonlightstories so we can all root each other on as part of the Sonlighter community! Write an entry for each child in a journal, noting their interests or what they want to be when they grow up, and include a prayer for them. You could even keep a separate journal for each child as a keepsake for when they graduate. Write a letter or note to each child with a kind word about them and your hopes for the year. One of my daughters fondly remembers writing back and forth with me in a journal. I'd ask a question and then respond to the answers she gave. Choose a theme verse or motto for your year, or talk about family goals and write them down together. 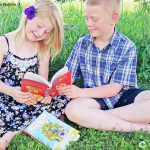 Craft a fun scavenger hunt so your children have to work through obstacles or clues to find your first Read-Aloud, your morning time basket, or the devotional book you'll be using for the year. Gather enthusiasm for a new year by starting off with a field trip. Celebrate by going to a park, pool, or museum and enjoy how much less crowded it is now that traditional school has resumed. 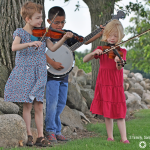 Make your traditions fit your family and do something you can enjoy with your kids. 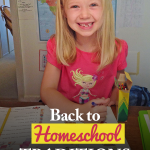 As I prepared to share this list of ideas with you, it occurred to me that we didn't keep any particular back-to-school traditions when our kids were growing up. I just want to be honest with you here: if you are a mom who holds an elaborate celebration on the first day of school or someone who just rolls right through the year, carrying on happily in the day to day joys, both are okay. 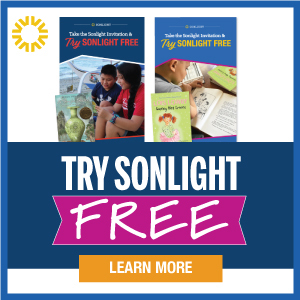 As a Sonlight parent, you are already making incredible memories every day by the time you spend together with your children, cuddled around real books. As low key as we are, we do still have a place for tradition in our family. In the Holzmann family, we celebrate Family Fun Week each year. This is an intentional time we take with our children and their children to get away to play and explore, have deep conversations while we put together puzzles, and just be together. That tradition reflects what is important to our family and has become a part of our DNA. While we continue special holiday traditions (like making Olibollen from my Dutch heritage every Old Year's Day—New Year's Eve), some of our best memories come from the daily rituals and rhythms in our homeschool. When our kids were growing up, we had a routine of starting our day with our seat work (LA and math); we then took a break mid morning. We followed with our reading time—Bible, history, science, and reading aloud from a great book before lunch. That schedule was so ingrained in our family life it became a part of what it means to be a Holzmann—a family of book-lovers. Traditions are a great way to bond as family, make memories, pass on values, and forge a sense of family identity. Psychologist Susan Lieberman says "Family traditions counter alienation and confusion. They help us define who we are; they provide something steady, reliable and safe in a confusing world." On the other hand, traditions should serve you, not the other way around. No homeschool mom needs a burden or empty things to fill her time and weigh her down with guilt or exhaustion. So I encourage you to be choosy in your traditions. Whether many or few, pick activities that reflect your values, fit your family, and bring all of you true joy. A happy mom will be one of the best memories your kids could have. You have freedom to choose! 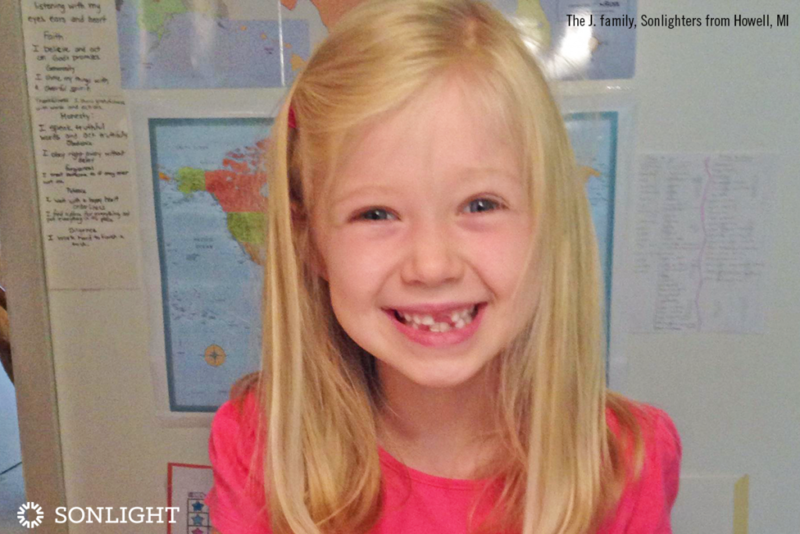 And please know you have a family of Sonlighters here cheering you on as you begin your homeschool year. You are the best teacher for your children! 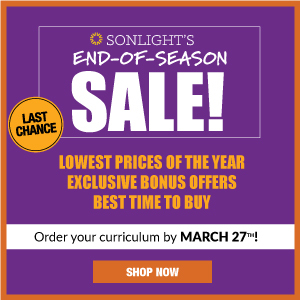 When you buy from Sonlight, you get a great product that produces proven results. 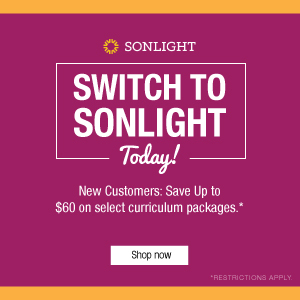 To learn more about the perks of shopping with Sonlight, visit Sonlight Cares. 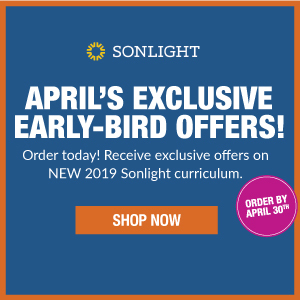 *The Sonlight Homeschool Moms Facebook group linked here is not an official Sonlight group but is operated by a Sonlight mom. We are applying the gentle start this year! It is super helpful for me and them to not feel like you have to go from 0 to 60 in a day. Great advice.